To avoid foaming, fill the ultrasonic tank with water first then add the concentrate. Do not use Good Vibrations to clean evacuation lines. Change solution at least daily. 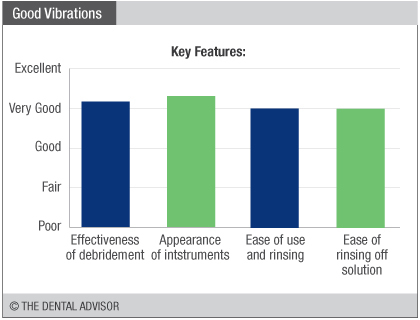 Good Vibrations is a highly concentrated instrument cleaning solution designed for use in ultrasonic cleaners. It provides quick and thorough removal of a wide range of debris while protecting instruments with anti-corrosives. 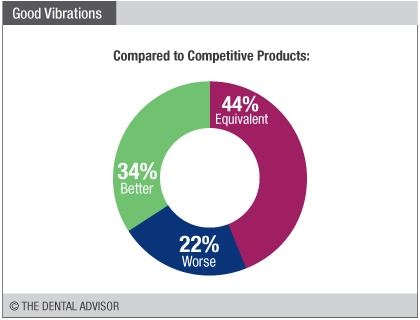 Good Vibrations utilizes an odor suppressant to neutralize organic and chemical odors and has a light mint scent. It is biodegradable and contains no phosphates. The dilution ratio is one ounce of solution per gallon of water. The one-gallon bottle with metered pump was evaluated; it is also available in a box of 24 unit-dose packets. 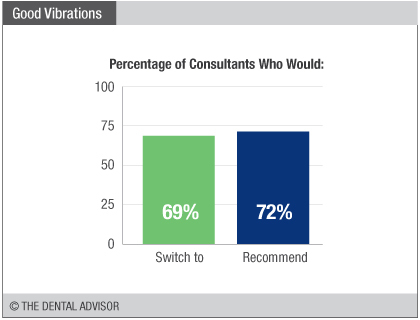 Good Vibrations was evaluated by 32 consultants in 816 uses. 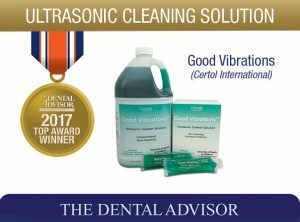 This ultrasonic cleaning solution received a 96% clinical rating. Good Vibrations is a detergent-based cleaner that meets the demand for non-enzymatic, more environmentally friendly products. It does an excellent job of cleaning organic and non-organic debris from instruments, leaving a clean, shiny surface. 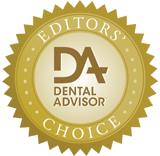 Testing at THE DENTAL ADVISOR confirmed that it effectively removed even dried-on blood and saliva. It is non-corrosive and safe for jointed instruments and curets. Good Vibrations rinses easily.